…what did you say? Oh, sorry, I was staring at his abs. 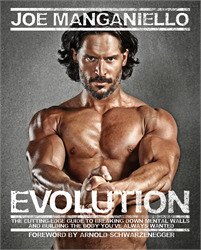 Only a few more days to go until our Manganiello giveaway on Dec. 16! Leave a comment on that day for your chance to win Joe-themed goodies.